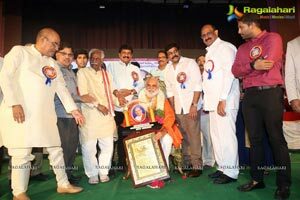 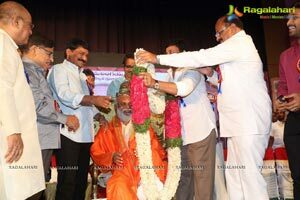 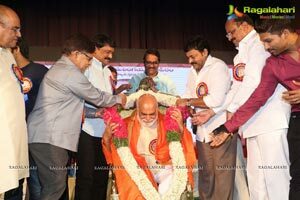 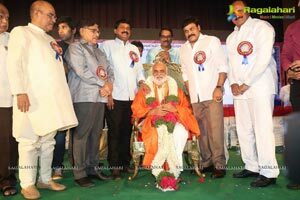 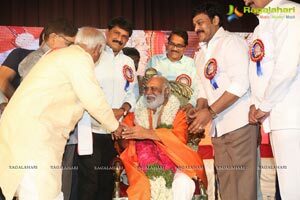 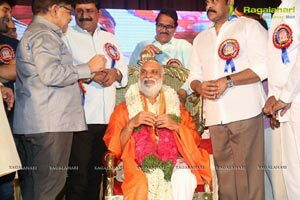 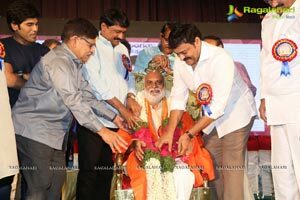 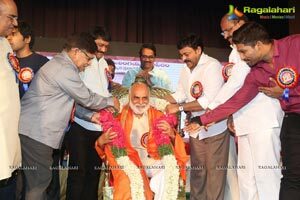 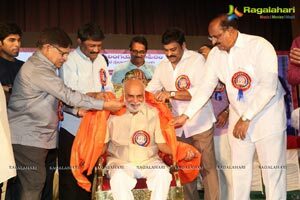 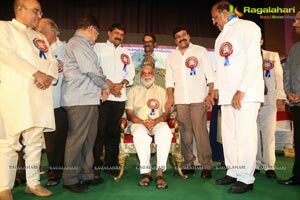 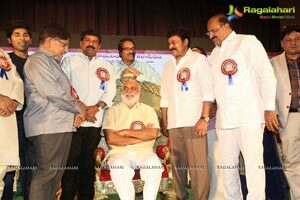 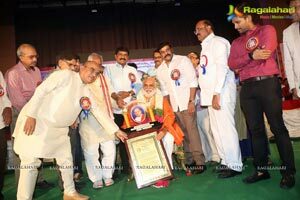 Prominent director K Raghavendra Rao was honoured with the prestigious Allu Ramalingaiah National Award for his contribution to cinema and Telugu film industry. 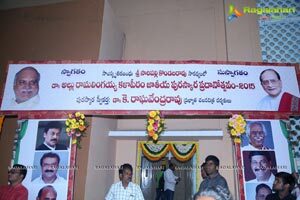 The award giving ceremony was held later today, i.e. 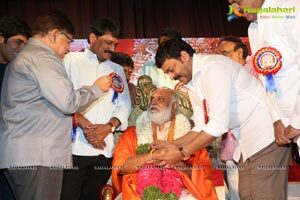 on December 6 at Sathya Sai Nigamagamam in Hyderabad. 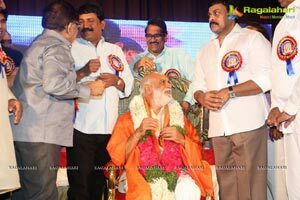 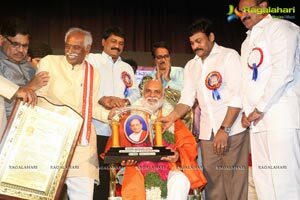 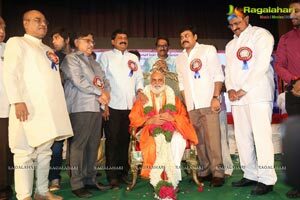 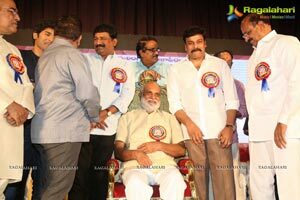 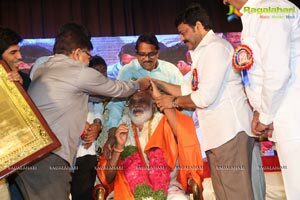 Chiranjeevi is the chief guest at the event and presented the Award to the noted director K raghavendra Rao. 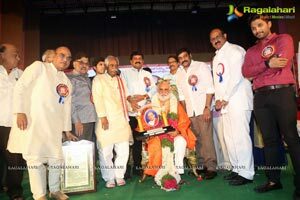 Allu Arjun, Allu Sirish and Paruchuri Venkateswara Rao and some others were present at the event, apart from several other politicians and intellectuals. 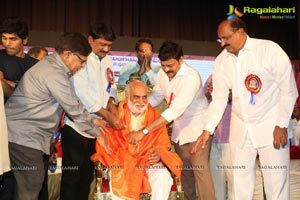 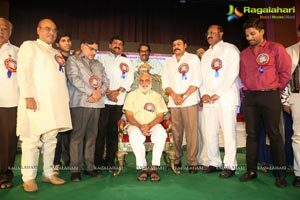 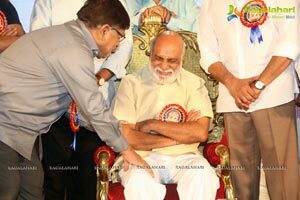 K Raghavendra Rao has directed over 100 films in his career spanning more than 40 years. 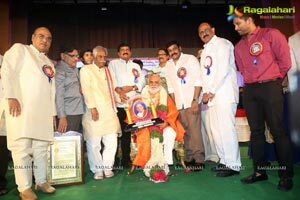 He received several state Nandi Awards. 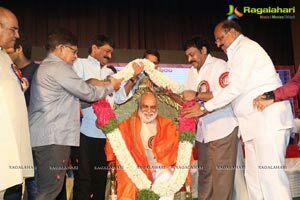 He introduced number of actresses like Ramya Krishna, Radha, Rambha, Ravali and Vijaya Shanthi and some others to film industry. 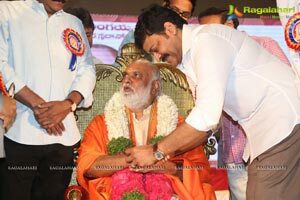 The last film which he had directed was ‘Shirdi Sai’ which was released in 2012. 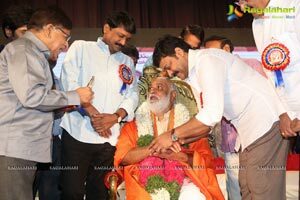 Since then, he had appeared in a TV show ‘Soundarya Lahiri’ which was a tribute to his own career as a director. 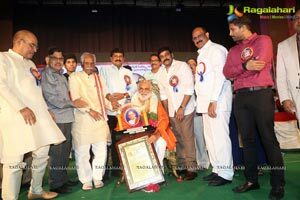 Allu Ramalingaiah was a great comedian who acted in over thousand films and his son Allu Aravind is a big producer in Tollywood and Ramalingaiah Kalapeetham award is set up by him as a mark of respect to his father. 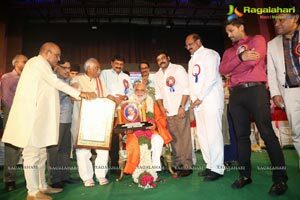 Allu came to films through acting on stage and this award is awarded to director K Raghavendra Rao.